These prong set diamond stud earrings are set with a perfectly matched pair of 1/2 carat diamonds totaling 1 carat and are available with either screw-back or friction posts. 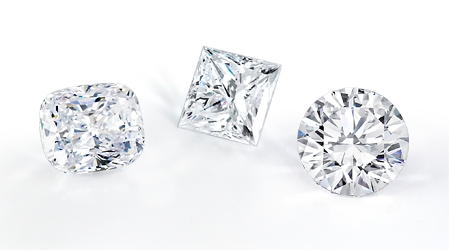 These diamonds are H/I in color, and SI in clarity. 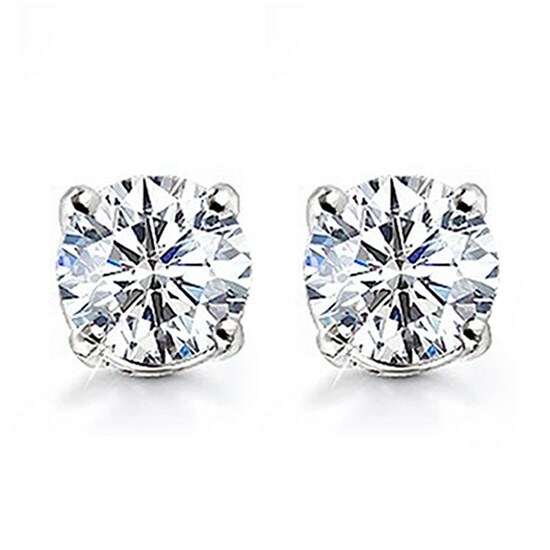 These classic diamond studs are versatile and elegant, and are sure to be treasured for a lifetime. 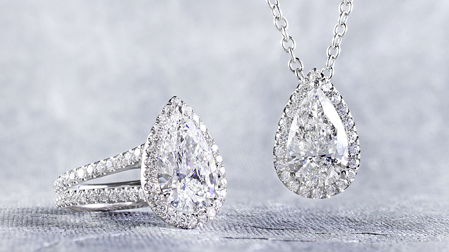 The perfect finishing touch to the perfect wedding dress, our pre-set diamond halo pendants are a sparkling and stylish addition to any woman's jewelry wardrobe. 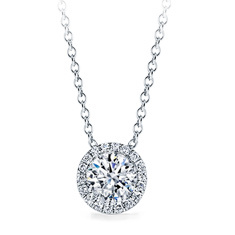 Select your preferred carat weight and gold color; each pendant comes mounted on a 16-inch matching chain. 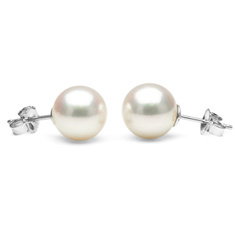 Hanadama akoya pearl stud earrings are a timeless classic that every woman should own. These gorgeous saltwater pearls are among the very finest pearls in the world, and are named after the pale pink of the cherry blossoms that cover the streets of Tokyo every Spring. Choose your preferred size and gold color. 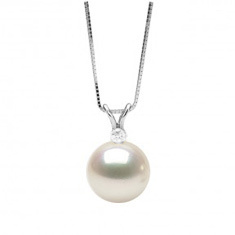 This spectacular diamond and pearl pendant is perfect for the bride to be or the bridesmaids! The AAA quality Freshwater pearl measures 9.0-10.0mm in size, and has been hand-selected for it's crisp luster, smooth, unblemished surfaces and shimmering overtones, and the .05ct G, VS1 diamond adds the perfect touch of sparkle! 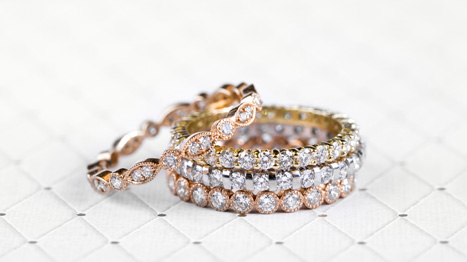 This elegant diamond bracelet is the ultimate in luxury. 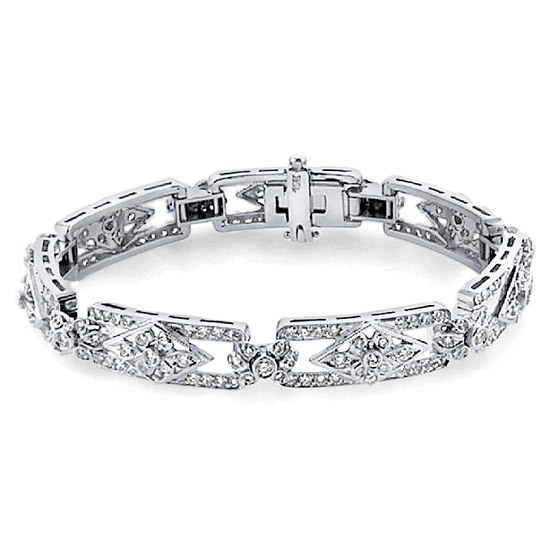 The gorgeous Art-Deco design is a timeless classic that will look glamorous at any occasion. The bracelet features over 5 carats of diamond accents in H color, VS clarity that have been hand-set by master craftsmen. The bracelet features a standard tongue and groove clasp with an additional latch for a secure fit. 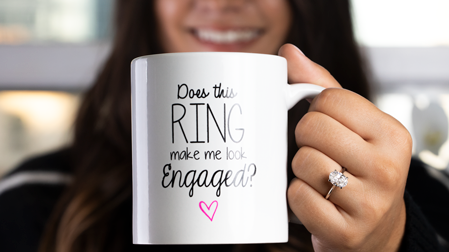 A gorgeous gift that any bride would cherish forever. 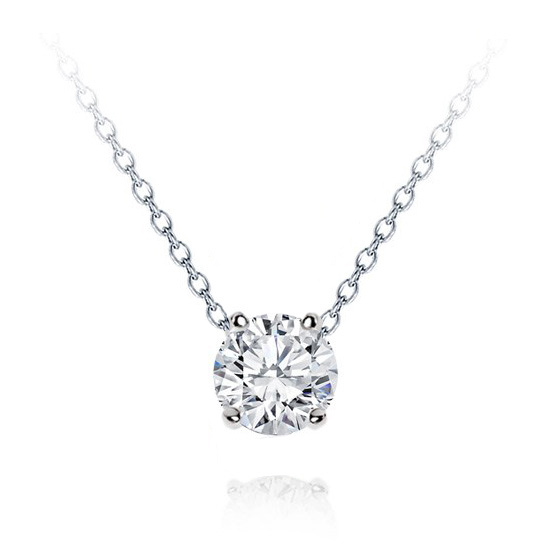 This striking and modern diamond pendant is a must have. This solitaire is perfect for adding just the right amount of sparkle to your day, and is versatile enough to be worn daily. 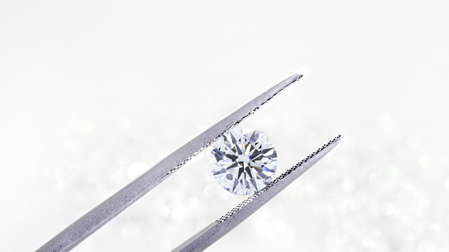 Diamond is H/I color, SI clarity and is set in your choice of 14k, 18k, or platinum mounting and 16-inch chain.